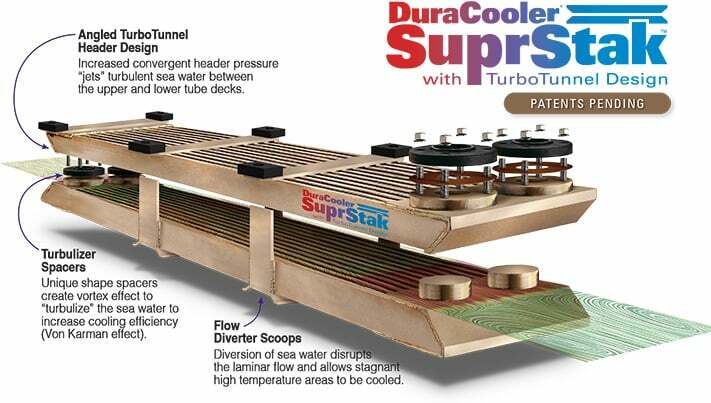 DuraCooler SuprStak with TurboTunnel Design takes cooling technology to the next level. This revolutionary, completely redesigned keel cooler is the latest addition to the DuraCooler long line of custom heat exchangers and the most efficient keel cooler Duramax Marine has ever built. It is the most efficient answer for the marine industry’s ever increasing cooling requirements. 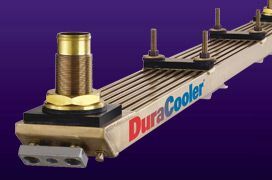 DuraCooler SuprStak with TurboTunnel Design is a completely redesigned double-stacked DuraCooler. SuprStak is engineered to “jet” turbulent seawater in a tunnel-like configuration between its top tubes and lower tube assemblies. It is the latest in engineered cooler technology that greatly enhances heat transfer in half the hull space. There is nothing else like it on the market. Breakthrough advancements have been incorporated into the new DuraCooler SuprStack design. DuraCooler SuprStak is a double-stacked (super stack), completely redesigned DuraCooler. It has long been understood that turbulent flows allow for great enhancements in heat transfer. However, little consideration is given to the flows around a marine keel cooler. At low to moderate hull speeds, seawater flowing axially along a 90-10 cupronickel keel cooler tube is laminar by nature. It is the formation of this laminar boundary layer, which according to classical heat transfer creates a type of insulation, causing reduced heat transfer and restricting heat from properly convecting into the seawater. To circumvent this, Duramax Marine keel cooler specialists have engineered advancements incorporated into the new DuraCooler SuprStak to both enhance and optimize turbulent flow outside and around the keel cooler, yielding a more compact and efficient keel cooler design. DuraCooler SuprStack design advancements were developed using computational fluid dynamic (CFD). Duramax Marine keel cooler engineers used state of the art modeling techniques that have tested and validated advancements utilizing a full scale water tunnel. Each design innovation has been specifically engineered to properly promote turbulence and modulate flow velocity over the DuraCooler. SuprStak design. Our R&D team has made sure that the SuprStak design offers the best, most efficient and robust solution of any DuraCooler Keel Cooler design. Angled TurboTunnel Header Design creates “jet” like effect between upper and lower units. Taking advantage of our current angled header profile we designed a convergent type profile which allows for the development of stagnation pressure due to fluid inertia. This creates a “jet” like effect accelerating seawater flow between the upper and lower tubes of the double stack increasing heat transfer. The speed of the seawater flowing over the cooler is now significantly faster than the speed over the hull. Depending on the application we also adjust the opening size between the stacks to modulate the flow for optimum design & cooling efficiency. 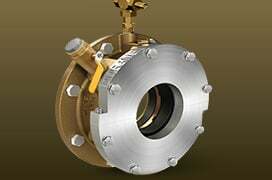 Round Turbulizer Spacers accelerate incoming seawater. Two round spacers on each end of the double stack act as more than spacers separating the upper and lower cooler decks. They are designed as turbulence enhancers that naturally develop a swirling type turbulent flow (Von Karman Vortex Phenomena) that accelerates the incoming sea water, helping it yield a much better temperature profile than other types of keel coolers. Flow Diverter Scoops force convection between hot tubes and seawater. Engineered flow diverters run the width of the lower tube assemblies to “flush” the stagnated areas between the tubes with sea water. 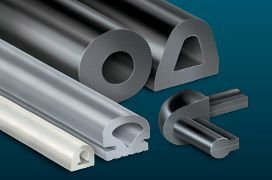 The diverter is a unique design which must have a specified spacing between the diverter and the tubes. 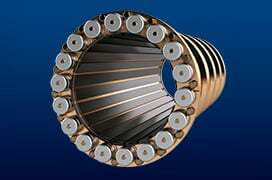 They are designed to ensure a “scooping” action far enough away from any stagnant regions to allow forced convection between the hot tubes and the lower temperature sea water. DuraCooler SuprStak available in two options: one-piece brazed, or modular design. 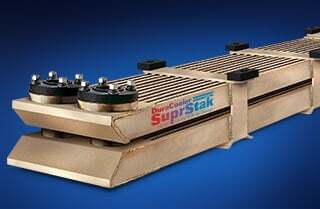 The DuraCooler SuprStak is engineered to be manufactured in a solid brazed double- stack assembly, or in a double-stacked deck that can be separated. Whichever you prefer. The modular design can be installed in upper then lower sections for easier handling. This will reduce the overall weight of the unit during installation. 90/10 cupronickel tubing High-strength material has excellent anti-fouling and heat transfer properties. It also resists water-flow erosion. Provides exceptional strength and durability. 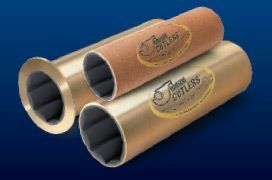 Provides maximum strength, flexibility and leak resistance at all cooler joints. Every cooler is pressure and vibration tested to verify joint integrity.